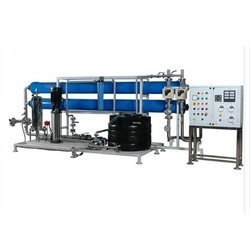 Leading Manufacturer of blue ro water purifiers, drinking water filters, silver stream mbbr plant, water purification machine, water purification system and water purification systems from Chennai. "Low cost solution for salty-coloured-contaminated water"
BLUE RO is Best Suited for: Houses, Residential Apartments, Corporate Houses, Multi Storey Buildings, Offshore Rigs, Educational Institutions, Hospitals and Hotels etc.BLUE RO Health Benefits :Prevents water borne diseases like typhoid, Dysentery, Cholera, Prevents Hair loss, Prevents Discoloration of skin & teeth etc.BLUE RO Internal Care :By removing lead, Bacteria, Cysts and Organic Chemicals you minimize the risk of Cancer, Anemia, Kidney Damage and High Blood Pressure. BLUE RO Added Advantages :Stored in SS Tanks of SS 304/316 to maintain maximum hygiene therby reducing risk of water borne diseases and point of use UV* for drinking water. (Brushing of teeth with RO water keeps you and your gums healthy and you can also avoid water borne diseases which can be acquired during brushing and gargling). We manufacture best quality Water Filter, water filter with latest techniques at very cheap prices. You can contact us anytime for domestic as well as commercial water purifier. Best Quality Best Service At Cheap Prices. The Canadian Clear "Silver Stream" industrial WWTP technology systems are based on the Canadian Clear High-Speed bio-degradation and sedimentation technology which is unique due to its compactness and performance in respect of volumetric efficiency. These technologies are combined in a prefabricated, skid mounted or containerized tank system with variable length, which is mobile/compact and easy to transport anywhere. 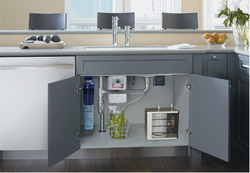 The skid mounted system is designed for indoor installation with proper ventilation. The machinery is placed uncovered on the skid at one end. The units can also be placed outdoor under shelter with natural ventilation. These units are transported in ISO freight containers and are manufactured in lengths from 20 to 40 feet. 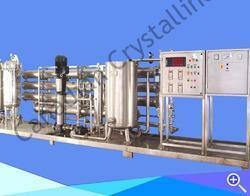 Leveraging our vast domain expertise, we make available Water Purification Machine to our revered customers. These machines are ideal for industrial usage owing to their very high purification capacity. In compliance with the highest technological standards, these purification machines function in the most efficient manner. Easy to install and use, these machines have earned the appreciation of the customers. These plants are made from top quality material procured from reliable sources. 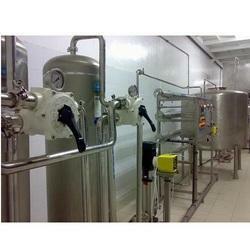 Used for fabrication and removal of iron, these water treatment plants are very important. Apart from this, these water plants are fixed at very affordable prices. 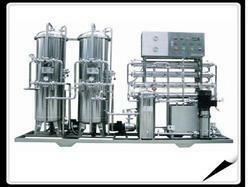 Our company serves industries in manufacturing Water Purification Systems. We provide guidance to a wide range of manufacturing companies to help them manage water resources and reclaim valuable chemicals from wastewater. 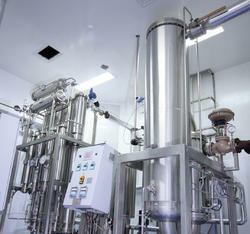 We manage existing commercial water purification systems to meet regulatory agency standards. We consult with clients who need to upgrade their water purification technology, and deploy portable water purification systems for emergencies and other extenuating circumstances or temporary situations. Apart from this, these plants are available in fair prices in market. Aguapuro offers Reverse Osmosis Water Purifier with same configuration as of commercial range reverse osmosis, but with higher Flow Rates from 2000 LPH to 25000 LPH and more. These units are also available in complete SS construction for long life use.